Over the past several years, Vienna-based composer / producer peter kutin has been working intensely at the little-explored junction between sound art and journalism / documentation. Focusing on sonic experiences in extreme or exceptional conditions. Kutin explores both the physical and psychological impacts of such extremes on how we hear. Later translating or orchestrating these experiences into sound. Despite his age, Kutin has already seen (and heard) many lost corners of the world, having realised field-projects that led him through deserts, jungles, mountain ranges, glacier gaps, war zones, volcanoes, protest marches and even into prison. 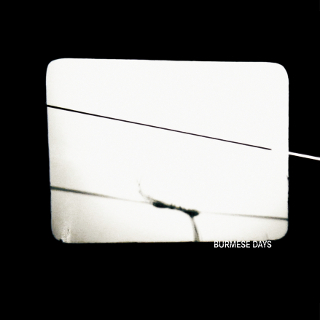 ‚burmese days‘ is not the traditional puristic field-recording album but more an abstract composition, which opens up a wide dynamic range of sonic perception, where electronic manipulations and timbres of selected traditional burmese instruments are interwoven with field recordings to form a captivating sonic essay – probably one of the most abstract and unexpected releases on Gruenrekorder . 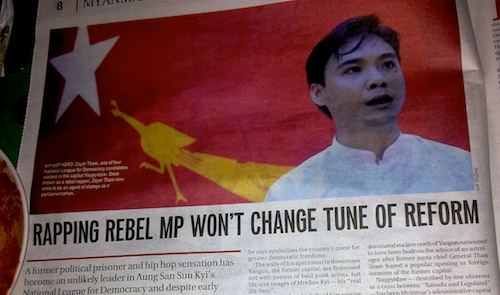 ‚The following piece is mainly based on original field recordings from Myanmar taken between April & May 2012, half a year after the military dictatorship announced its withdrawal and indicated plans for a change towards a democratic – or a ‚hybrid military-civilian’ – system in Myanmar after more than sixty years of a military state and its repression. Suddenly it was legal for journalists to enter officially. When I found a timeslot and got the money and some contacts together, I set up a field trip following a journalistic and documentary approach. One of my main interests was to investigate whether the situation of people of ethnic minorities had already changed since the regime’s withdrawal. There were peace talks, but in fact most of the rebel groups were still at war with the military regime at that time. My route started at the border area between Myanmar and Thailand: topographically, this was a zone covered by a beautiful rainforest and all its richness of sounds; politically, it was a buffer zone : ethnic minorities, rebel groups, expelled people, opium and other drug smugglers and refugee camps. At the end of 2012, US president Obama became the first American president to visit Myanmar in fifty years. He walked barefoot over the sacred marble ground of the golden Shwedagon Pagoda in the former capital, Rangoon, and warmly welcomed the newborn democracy. While I was there, ethnic clashes (some media referred to the terminology of an ‚ethnic cleansing‘) started in the western Akran state. More than 30,000 people from the Rohingya (a Muslim minority) were chased from their homes. 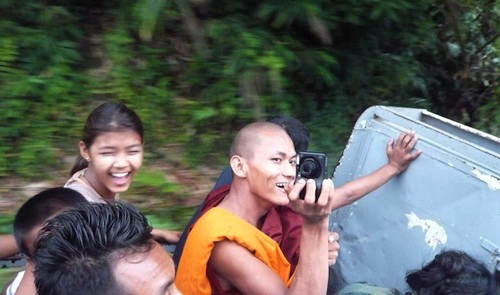 Many were killed in the violent clashes between Muslims and radical Buddhists. Not a single journalist was allowed to enter or get even close to the area. Freedom and Democracy are more elusive concepts or cachets than the media would like us to believe. My recordings were first used for the production of a feature on Austrian national radio. I was a bit disappointed, feeling that the sounds had been used the ‚wrong‘ way due to all the information within the spoken texts… In order I sat down and reflected on my recordings from an aesthetic point of view, thinking about how I could translate my personal experiences (heat, sickness, fear, jungle, rain, radical Buddhism, rebels fighting for freedom or more rights, the sound of mantras, gongs, bells and the language itself …). I also found out that the percussionist of Vienna’s Radio-symphonic-Orchestra has been collecting instruments from Myanmar since more than 10 years. So the use of some of these original Burmese metallophones (and their electronic transformations & manipulations) is now the constant element throughout the record, guiding the listener through different sonic stages. It is a piece about the vague state of the people’s identity – a life lived between hope, anger and fear, between the prospect of freedom and doubt of being betrayed. ‘Burmese days’ may be described as an acoustic diary, focusing entirely on sound and using almost no linguistic information. No interviews were used. The piece’s subtitles refer directly to some experiences. For best result, it should be listened to at a high volume with good bass response. ‘Burmese days’ was premiered at Vienna’s Church of St. Ruprecht in June 2013 .
berndt thurner : original burmese metallophones. dieb13 : additional electronics / turntables. Avid readers of my reviews (its ok – I’m being facetious), will have noticed that the last few Gruenrekorder releases I’ve written on, have received fairly short shrift from me. I’m pleased to announce an end to this run, with Peter Kutin’s wonderful album, “Burmese Days’. It comes in a very low-key package, with minimal artwork and information – most notably, a distinct lack of ‘field-recording text’: praise the Lord. 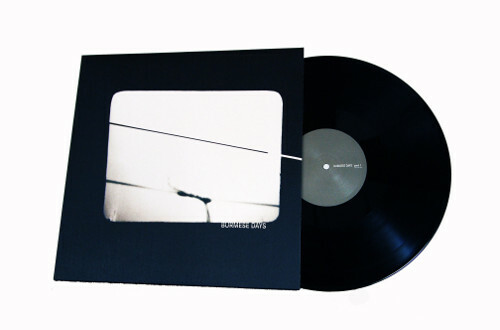 The album has eleven tracks across two sides of vinyl. I say eleven tracks, but you might be hard pressed to point out clear divisions: ‘Burmese Days’ is a collage of a record. Aided by Berndt Thurner (‘original burmese metallophones’) and dieb 13 (‘additional electronics/turntables’), Kutin constructs a dream-like narrative using field recordings – some of which might be processed, its not completely clear. A case in point, is the very start of the record; simply called ‘The Sound Of Insects’, the first track features rattling noises which certainly sound processed, but – given the terrifying array of wildlife sounds on this planet – most probably aren’t. The record’s grooves then take us through a forest and into the gong-like tones of metallophones; blending with droning insect chirrups. These shifts are effortless and feel non-forced – indeed, the whole record passes through the ears very smoothly: its a very listenable album. The first side comes to a close with monsoon rains and wind, eerie drones and buried voices. The second side continues in a similar vein, even breaking down into a very quiet drone at one point – only to explode effectively into a hubbub of voices and train sounds. Around this section some synthy ‘pad’-type tones appear, and whilst they work well, combined with the field recordings they do raise the spectre of old-school ambient records – The KLF’s ‘Chill Out’, for example. The entire second side feels oddly more ‘conventional’ in terms of field-recording and its content, but at the same time has two long droning sections – the aforementioned quiet drone and the possibly metallophone-powered drone that closes the record. The overall effect is a more laid back, muted side of vinyl; but just as digestible as its counterpart. This is a really great record, a rejoinder to the somewhat stuffy field-recording albums that I’ve crossed paths with of recent. It layers recordings, embellishes them with musicians, even processes them – rather than obsessing over the fallacy of some ‘transparent’ representation of an environment, it constructs a more impressionist sound-poem to the people, wildlife and places that Kutin has visited: ending up with a record that has nestled quite happily on my turntable. The record does have a dream-like quality, and on a technical level, moves with great ease between passages. Definitely a recommended release on Gruenrekorder! 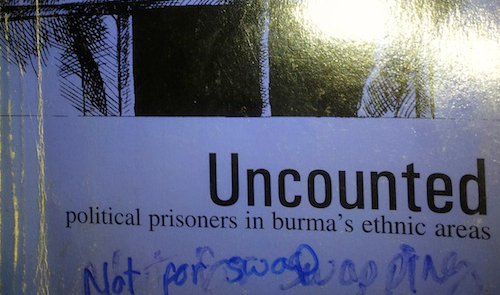 Peter Kutin’s excellent Burmese Days does a far better job than Vowinckel’s by keeping things simpler. Here, a collection of eleven field recordings are segued into two wholes [unusually for Gruenrekorder this comes as a vinyl release] with the voices of the Burmese, where ever they appear along this wonderful release, given a clarity they deserve. 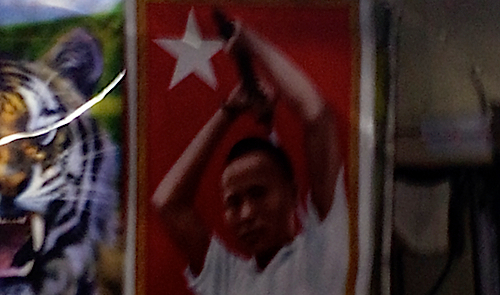 Kutin visited Myanmar in 2012 shortly after 60 years of military rule gave way to a democracy of sorts. With journalists now given free reign to wander where they wish Kutin returned with, no doubt, many hours of field recordings which he then used to capture the feelings he experienced whilst there. Having listened to my fair share of field recordings I’d say he’s done a fantastic job. Typing this in a muggy room late at night as the UK reaches its first heatwave of the summer means those insects and forest sound are far nearer Myanmar than Leeds. This is a ‘journey’ work capturing many aspects of his trip, insects, forests, bowl rings, the imam’s 5.a.m call, street markets, work places, train journeys, gongs … the lone male singer on ‘Train to Rangoon’ is a happy one, the sound of the train wheels on the rickety track adding its own rhythm, the insects that open the piece are nearer pure electronics than cicadas, the bowl ring that rides out the last five minutes is spine tingling. Kutin is aided by Viennese turntablist dieb13 who had a hand in mixing it and Brendt Thurner who added various gongs and metallophone sounds. Their contributions augment and enhance the work. This is the only field recording album I’ve heard of that instructs the listener to play it back at high volume with good bass response. At times it does feel like you’re listening to glitch electronica or a Pan Sonic album but this only adds to its mystery and longevity. Burmese Days is a work worthy of many repeated plays. A true gem in the Gruenrekorder catalogue. I haven’t read the Orwell novel from which this LP takes it’s title though, I’m guessing, it shares that author’s concerns about Western imperialism in Southeast Asia, even if abstracted beyond direct reference points. Kutin (field recordings), here, is assisted by Berndt Thurner on Burmese metallophones and Dieb 13 on electronics and turntables, melding their instrumental compositions with his recordings to form the two side-long works. And they sound pretty great, some of the finer integrations of field and instrumental sounds I’ve heard in a while. I’m guessing this likely due to Kutin’s skills at composing the material but surely at least in part a result of the reticence of Thurner’s and Dieb 13’s contributions which routinely remain at a low level in the mix, often nearly indistinguishable from the found sounds. The whole affair is rather subdued but very alive and subtly colorful, seething with a quiet pulse, from the opening chitters of insects (accompanied, I think, by Dieb 13’s stuttering electronics), through attenuated near silences bearing faint hums, through cloudy, zone-tinged climes with muffled drums, voices, those metallophones. It‘ a heady journey, especially Side One, murkily cinematic, unsettling and all-around excellent. Don’t pass on this one, it’s a really fine realization. We’re always looking for good music at A Closer Listen, but once in a while we realize that something is not only good, but important. Peter Kutin’s Burmese Days is one of these releases. Vienna’s Peter Kutin was one of the first sound artists to visit the nation after certain restrictions had been lifted. He visited rain forests and refugee camps, recorded gongs and bells, and reflected on the gap between expectation and fulfillment, public statement and reality. After presenting the piece on Austrian national radio, he radically altered the project, calling on the aid of percussionist Berndt Thurner and turntablist dieb13. Given the original recordings, Thurner added a unifying layer of traditional Burmese instrumentation, ranging from metallophone to Kye zee (gong). The result is a remarkably fluid sound collage, 37 minutes of music, field recording and local (untranslated) conversation. Why is this recording important? 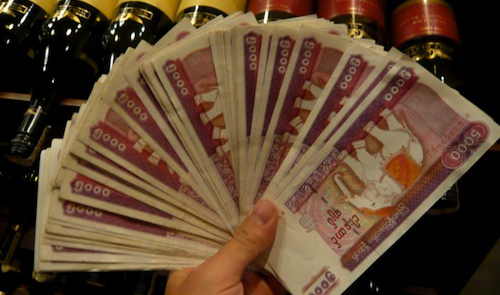 Obviously, it’s a glimpse inside an internationally hidden culture. But it’s also a reminder of the beauty of Burma: the children playing, giggling, laughing in the streets; the resonant worship, laden with reverberation; the traditional music, connecting past with present; the rain that brings refreshment, rather than fear. In one sense, this is the lost nation; in another, it the recovered nation, the populace worth saving, the glorious remnant, the story behind the story. Many people report on the tragedy, the oppression, the strife, but in so doing communicate only the vastness of the problem. Confronted with unending sorrow, those who might intervene instead feel overwhelmed. Kutin speaks of tragedy in his liner notes, yet saves the beauty for his recording. Those who hear it may take a deep breath, say a deep prayer, and do what they can to help. Gruenrekorder releases typically make a strong impression for being unusual and audacious, and, despite being dramatically different in concept, these recent recordings by Vienna-based composer Peter Kutin and Berlin-based sound artist Antje Vowinckel are no exception. 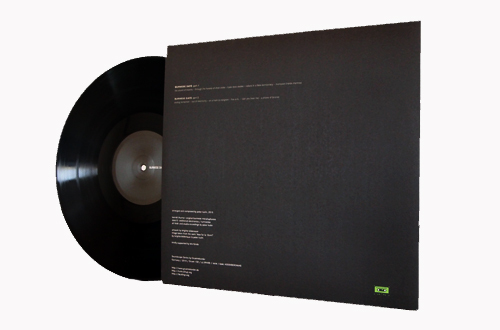 Kutin’s is a vinyl release that roots its side-long compositions in 2012 field recordings from Myanmar, whereas Vowinckel’s CD features eight sparsely designed sound compositions oriented around dialects and disappearing languages. The thing I like most about Burmese Days is that it plays like a formally composed symphony of sorts, with field recordings used in place of conventional instrument sounds and Kutin sequencing the field recordings so that each side creates the impression of being a multi-part suite. Adding to the material’s appeal are musical sounds contributed by Berndt Thurner and dieb13, whose Burmese metallophones and electronics-and-turntables, respectively, merge with Kutin’s field-recordings and electronics on the two settings. An accompanying press note accurately characterizes Burmese Days as something more akin to an abstract composition than a traditional field-recordings album. There is an underlying political dimension to the project in that Kutin was only able to gather the field recordings half a year after the military dictatorship announced its withdrawal from the area, a development that in turn allowed journalists to officially enter and explore the locale. But despite the promise of peace and democracy (when Obama visited at the end of 2012, for example, he became the first American president to have visited Myanmar in fifty years), violence has persisted in the form of ethnic clashes in the western Akran state and deaths in violent altercations between Muslims and radical Buddhists. In fashioning his material, Kutin aimed to translate a diverse set of personal experiences into satisfying aesthetic form, and the result shows that he accomplished that goal. Both sides weave different kinds of sounds into evolving soundscapes: the first offsets the agitated thrum of insects and babble of crowds with the meditative stillness engendered by a struck metallophone; the second follows tinkling bells and singing voices with train clatter and inner city commotion. Egzotyczny krajobraz Birmy to nie tylko piękno przyrody, lecz niedawno zakończony stan wojenny, walka miejscowej ludności o demokratyczne prawa, uliczne zamieszki i bezwzględna dyktatura władz. Peter Kutin to austriacki kompozytor, muzyk i producent z niemałym bagażem doświadczeń. Przede wszystkim należy Kutina kojarzyć z licznymi nagraniami z kręgu field recordingu. Jego fascynacja nagraniami terenowymi zaprowadziła go do różnych miejsc, takich jak strome pasma górskie, dżungla, pustynia, lodowiec, wulkan, uliczne protesty, światowe konflikty czy więzienie. W swoich pracach stara się uchwycić fizyczną siłę dźwięku. Kutin zajmuje się także tworzeniem partytur filmowych, produkcji teatralnych, instalacji dźwiękowych i spektakli radiowych. W 2011 roku dramatyczna sytuacja polityczna – w jakiej Birma znalazła się od roku 1962 – uległa nieco poprawie. Dyktatura wojskowa przekazała formalnie władzę popieranej przez nich administracji cywilnej, a prezydent Thein Sein rozpoczął wówczas dialog z demokratyczną opozycją. Napięcie w tym kraju opadło na tyle, że znów do Birmy zaczęli przybywać dziennikarze z całego świata. W połowie 2012 roku Peter Kutin postanowił wybrać się do tego państwa z zamiarem zbadania, czy życie tamtejszych mniejszości etnicznych naprawdę zmieniło się na lepsze. Okazało się, że rebelianci nadal walczą z oddziałami wojsk rządowych. Kutin swoją podróż rozpoczął na pograniczu Birmy i Tajlandii, gdzie znajdują się piękne lasy deszczowe, a w nich całe dźwiękowe bogactwo przyrody. Obszar położony na styku dwóch granic to klasyczny przykład tzw. strefy buforowej, w której można znaleźć liczne grupy uchodźców, mniejszości etnicznych, rebeliantów, a także różnego rodzaju przemytników i handlarzy opium. Wówczas w mediach można było usłyszeć, że mieszkańcy Birmy cieszyli się z tej pozornej demokracji jak małe dzieci, które dostały lizaka. Podkoloryzowane doniesienia prasowe przegrały w zderzeniu z tym, co Kutin zobaczył w Rangunie, mieście położonym w zachodniej części stanu Akran. Tam artysta przypatrywał się starciom pomiędzy grupą etniczną Rohingya (mniejszość muzułmańska) a radykalnymi buddystami. Mimo niezbyt sprzyjających warunków Kutni doskonale wiedział, po co tam przyjechał. I tak w kompozycji „burmese days, part 1” zostały użyte m.in. okrzyki rebeliantów, odgłosy robaków z lasu w Shan, zees kyee (rodzaj tradycyjnego bębna) i podmuch monsunowego wiatru. Nie jest łatwo rozszyfrować poszczególne dźwięki, gdyż po powrocie do Wiednia Kutin zajął się opracowywaniem w studiu warstwy elektroakustycznej, jaką dodał do tych nagrań terenowych. Artysta przeformułował swoje osobiste doświadczenia (ciepło, choroba, strach, dżungla, deszcz, radykalny buddyzm, widok rebeliantów walczący o wolność, dźwięk mantr, gongów, dzwonów, język birmański) i stworzył coś na wzór dźwiękowego pamiętnika („burmese days, part 2”). W tym nagraniu słyszymy różne instrumenty z Birmy (m.in. metalofony). Oczywiście brzmienia tychże instrumentów jak też dźwięki otoczenia zostały poddane elektronicznym przekształceniom. Stukot kół pociągu zmierzającego do Rangunu zamienił się niezwykle głęboki dron, a dźwięk skrzypiących wagonów dobrze połączył się z analogowym tłem. Zaś w dalszej częściej – tej ponad dwudziestominutowej kompozycji – mamy odgłosy religijnego śpiewu, ćwierkania ptaków czy ulicznego zgiełku, które niepostrzeżenie milkną i przechodzą w oniryczny minimalizm. 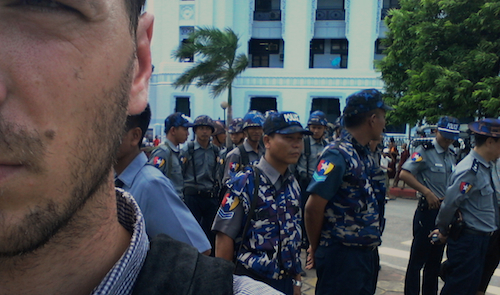 „Burmese days” to elektroakustyczny reportaż o abstrakcyjnej konstrukcji, gdzie elektronika, brzmienia tradycyjnych instrumentów przeplatają się z nagraniami terenowymi, tworząc wciągający esej dźwiękowy. Kutin w swoich nagraniach znakomicie uchwycił otaczający go świat przyrody oraz napięcie panujące wśród mieszkańców Birmy. Tożsamość polityczna tego kraju wciąż stoi pod wielkim znakiem zapytania. Artyście udało się przy pomocy elektroakustycznych i cyfrowych manipulacji odczarować birmańską rzeczywistość, nasyconą gniewem, kłamstwem, strachem i brakiem tolerancji. Peter Kutin w świadomy sposób nawiązuje do minimalizmu, ambientu i muzyki noise. Pokazał, że field recording nie jest tylko „tworzywem”, z którego powstają odrębne byty w postaci utworów, lecz doskonałym idiomem wysyłającym pozawerbalny i jakże ważny sygnał w przestrzeń globalnej znieczulicy. […] And then Gruenrekorder also expands to the world of vinyl with a rather unusual disc. Peter Kutin is a member of Dirac (see Vital Weekly 708 and 729) and had a solo CD (see Vital Weekly 818), which sees ‚all field and studio recordings‘ by him, but also with Berndt Thurner on original Burmese metallophones and Dieb13 on additional electronics and turntables. If I understood correctly Kutin is the composer of this work that is partly a mixture of field recordings from Burma with some additional music from the musicians, all ‚arranged and composed by Peter Kutin‘. It’s a pretty interesting work; one that works pretty well. The overtones from the metallophone collide nicely with the electronics from Dieb13 and mix well with the insect/bird sounds from the locations. Sometimes, and perhaps that’s the best part, it’s hard to tell whether we are hearing ‚just‘ field recordings or perhaps also something else, something ‚extra‘. I guess that’s where field recordings and ‚music‘ – what’s the difference, I wondered – blend together in a very natural way. ‚Part 1‘ seems to be more about the instruments and ‚Part 2‘ more about the field recordings – but perhaps I am wrong about this. Maybe that explains why this is on LP, rather than CD: to mark the difference between both sides. Excellent stuff all around! Great, moody music, carefully balancing sound art and music, field recordings and soundscapes.